Type 4 hair gets DRY! No one wants their hair to look or feel dry, but the feat to constantly keep your hair shiny gets hard. Even when my hair was relaxed, I struggled with maintain moisture which later led to breakage. However, I have taken the time to start to understand what is moisture and what is not. Here’s what I do to keep my coils soft, shiny and bouncy. A spray bottle is a necessity. I cannot style my hair without the use of a spray bottle. Every night and morning, I mist my hair with water and add a bit of cream to massage my scalp and moisturize my hair. Water is the key to moisture, and you don’t have to douse it, just a light spray. Add water to your hair (external) and be sure to drink water daily (internal) for an inside and out method for total body moisture. Oils and styling products do not moisturize. Oils are sealants that lock in moisture. Of course oils are great for thickening, strengthening and growth, but they will not help you retain moisture. Styling products do just what they say, help style. No matter how shiny it makes your hair, it is not moisturized. L.O.C. Method is life! The leave-in, oil and cream (L.O.C. method) has helped me retain moisture and keep a consistent routine. 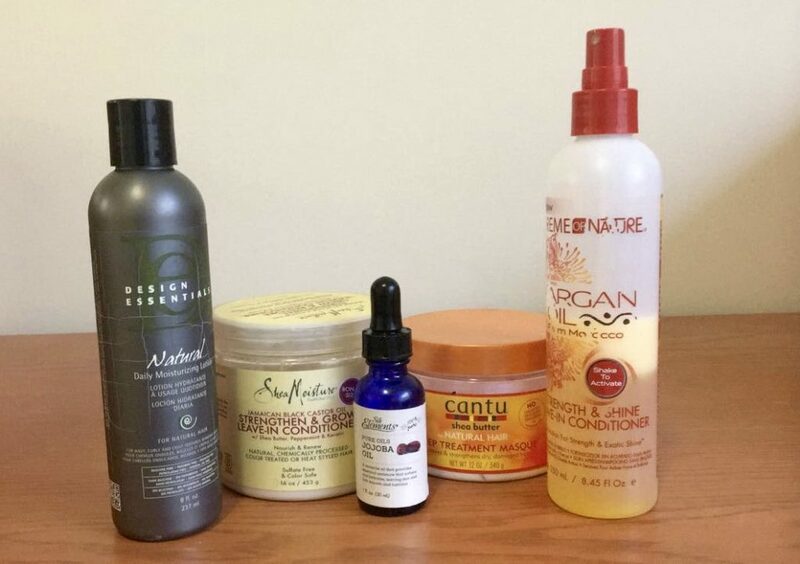 In the picture above, I use the Shea Moisture leave-in conditioner followed by either argan or jojoboa oil and Cantu curling cream. This method makes my hair feel and look soft and shiny. I truly believe it is a staple method for keeping my hair thick and growing. I complete this method about 2x per week or whenever my hair is “thirsty”. Conditioner is your friend. I never thought you should use conditioner unless it’s wash day – WRONG. I spray in my Argan Oil Strength & Shine Leave-In Conditioner almost daily. The conditioner refreshes my hair and keeps in moisture since one of the top ingredients is water. Keep your hands to yourself! This is a tip I struggle with because I can’t keep my hands away from my hair. The more you touch your hair, the drier your hair gets. Let you hair be at peace and keep your hands out! Want to continue retaining your hair length and thickness with me? Follow these tips and drop your own in the comments below!